Located at the Huntsville Bicentennial Park (Williams Ave. and Fountain Circle) in March 2005. Donated by CW4 (Ret) Johnie Keeter. Located at the Huntsville Madison County Veterans Memorial in Section 13 - Row 9 - Column 9. 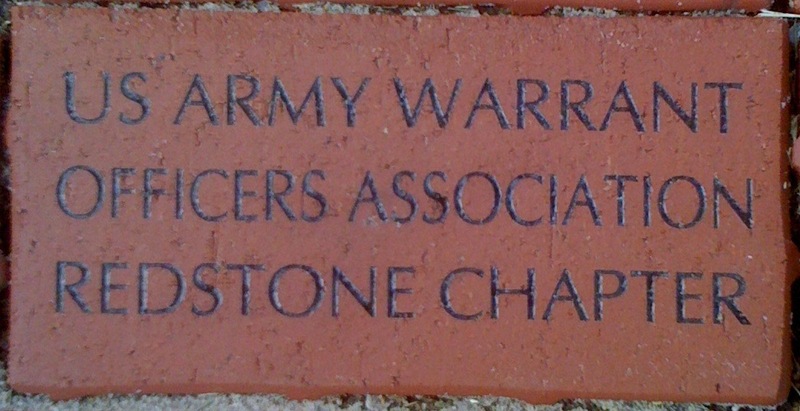 The paver was purchased and donated by the members in 2010 to honor all Chapter Warrant Officers; past, present and future.